This post is born out of a conversation between students during a lecture on the life cycle of stars and harvests many comments gathered over years working in schools and colleges. Some of the list also came from suggestions made by friends on Twitter. It’s by no means a definitive list, just the top ten I picked. So here we go on a countdown of the top ten. No. 10 – Planetary Nebulas make planets. Our first misconception (and the one that started it all off). A planetary nebula is the remnant of a star that, at the end of its life, has burned all of its fuel and shed or pushed off its outer layers. The rest of the star then collapses inward leaving a small dense core called a white dwarf star. During this process, strong stellar winds drive the expanding gasses and this coupled with large amounts of emitted ultraviolet radiation, cause the clouds of gas and dust to glow. Initially called “planetary” nebulae by early astronomers (namely William Herschel), thinking their round appearance resembled the recently discovered planet Uranus. The emitted material from these nebulae will eventually spread across space until it mixes with other stellar matter and once more begins to clump together initiating the formation of other stars. Another one I reckon just about everyone will have heard. “Space is a vacuum and the gap between planets and stars contains nothing”. Wrong again I’m afraid. Although it doesn’t contain very much, space is not empty. 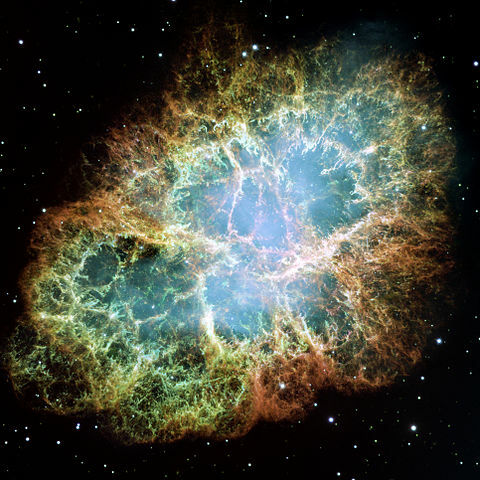 Scientists have now realised that every square metre of “space” contains at least a few atoms of matter – primarily a plasma of hydrogen and helium as well as varying quantities of the ubiquitous neutrino. However, the story does not stop there as many cosmologists are now looking at the possibilities of dark matter and dark energy to fill these spaces, that could account for as much as 80% of the mass-energy of the universe ! No. 8 – Black Holes part I – Travelling through and out of the other end. Hollywood has a lot to answer for when it comes to space misconceptions and this is one of them. If you’ve seen the Disney film “The Black Hole” or more recently “Interstallar”, then you know what I’m talking about. However, contrary to sci-fi film makers predictions, space travel through a black hole is not possible ……. well not yet anyway. The matter shredding tidal forces and infinite density of the singularity at the centre of a black hole would merely add any object’s mass to the mass of the black hole, effectively destroying it in the process. However, I felt I ought to qualify the “not yet” part with additional explanation. There are some recently floated theories and papers dealing with principles that may yet yield results in the field of black hole travel, although the commonly held opinion is that these theories still currently sit firmly in the realm of science fiction. No. 7 – Saturn’s rings. A picture of Saturn taken by the Cassini orbiter. There are two common misconceptions about the ring system of the solar system’s second largest planet. The first is that the rings are made of rocks. They are not! Although this is the most common answer given when asking people what they think Saturn’s ring are made from. In reality, 99% of the ring material is ice. It is this fact that allows us to get such a good view of the rings, as the ice is very good at reflecting the sun’s light. Each ring is made of chunks of ice ranging in size from about a millimetre to over ten metres in length. Each of the rings can be as thin as three metres in depth to over a kilometre. The second misconception is that the rings have gaps in them where there is an absence of ring material. However, it just seems that way to the observer. In reality, all the rings have varying densities and even the bands that appear to us as gaps are actually populated with ice, just at a very low density. No. 6 – The moon shines or gives out light. Quite a common misconception this one. A lot of people gaze up at earth’s natural satellite and see how bright it is in the sky without actually realizing that what they are actually seeing is reflected sunlight – and not very much of it at that !!! A surprising fact about the moon is that it only reflects approximately 12% of the light that hits it from the sun. This is primarily due to the fact that the moon is essentially a large lump of dull grey rock. That last bit is probably a disservice to the moon as I’m sure we all agree it can be breathtakingly beautiful when showing us different phases and during the differing metereological conditions of the changing seasons. Beautiful as it can be, it doesn’t change the fact that the moon is not a “luminous” object . It emits no light of its own! No. 5 – The Far side of the Moon – “Doesn’t the moon rotate? The second of our lunar based misconceptions checks in at number 5 in our top ten. So to what are we referring when we say “the far side of the moon”. Well …. seen from the earth the moon does not appear to rotate as we see the same part of the moon all year round. This led to the misconception that the moon doesn’t rotate. Fortunately, it does. The effect is caused by a phenomenon called tidal locking in which the tidal forces of the earth have altered the rotation of the moon causing the time taken for the moon to rotate once to be the same length of time as it takes the moon to complete one orbit of the earth. The result of this is the fact we only ever see the same bit of the moon even though it is rotating. 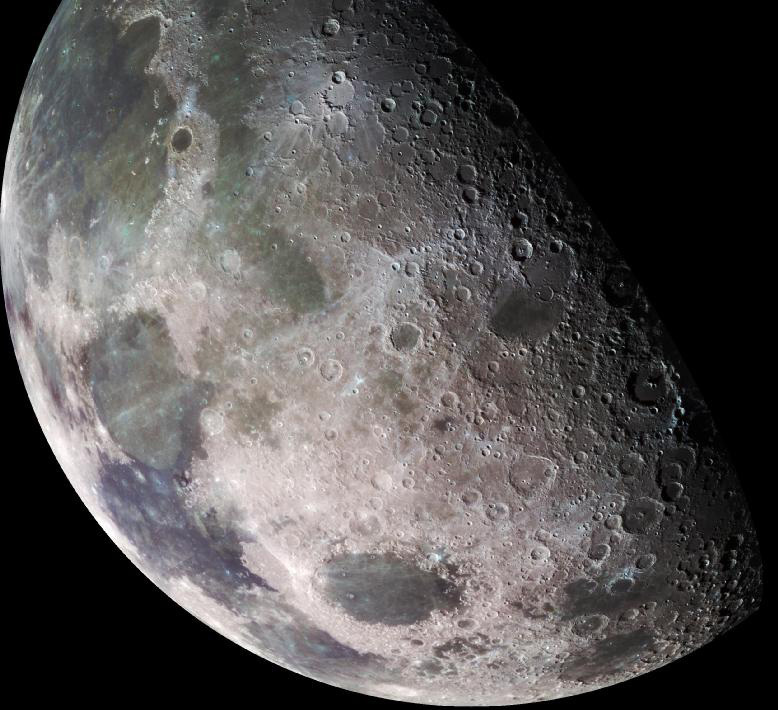 Numerous conspiracy theories existed concerning the far side of the moon but were mostly debunked in the late 60s early 70s after numerous missions from both Russia and the US returned high resolution imagery of the far side. Well …… thats partially true but we’ll still deal with it as a misconception. It is true that once the event horizon is breached, not even light can escape from falling into the physics defying, matter crushing, depths of the space-time singularity in the black hole’s centre. The story does not end there however as there are a couple of other factors that we need to consider. 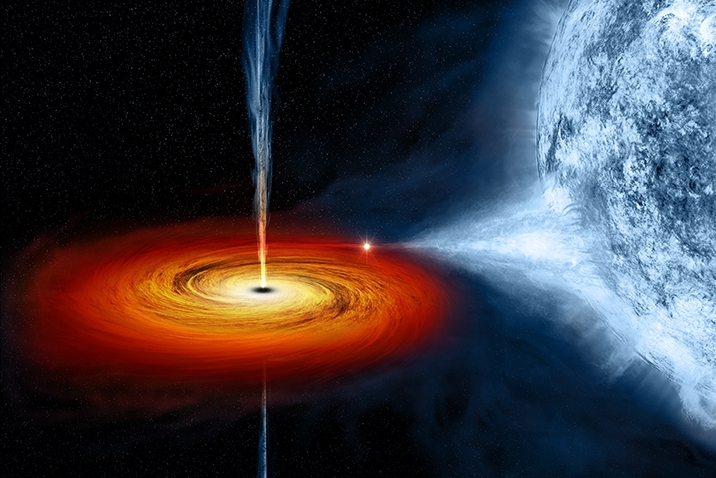 An artist’s rendition of the Cygnus X1 black hole showing polar jets and the accretion disk pulling material off the nearby blue supergiant HDE 226868. Jets! – Not the baseball team, not even the fast moving aircraft either. These jets are “Relativistic Jets”. These occur at the poles of the black hole throwing plasma thousands of light years in to space and are thought to form due to the complex dynamics of the twisting magnetic fields and super high temperatures of the accretion disk focusing these beams along the rotation axis of the black hole (see pic). Realistically, we perhaps shouldn’t really consider these being emitted from the black hole itself though. The other thing that escapes a black hole is something called Hawking Radiation. Not for the scientifically feint-hearted, this quantum effect relates (in incredibly over-simplified terms) to the escape (therefore emission) of one half of a virtual ‘particle / anti-particle’ pair formed just above the event horizon and brought into being by the black hole’s massive gravitation. The notion that the whole earth moves closer to the sun in summer is a fallacy. The four seasons (no, not the hotel :)) are driven by the fact the the earth’s axis is off vertical by 23.4 degrees. This slant causes different parts of the earth to be closer to the sun at various times of the year, giving us our seasons. During July, the Northern Hemisphere of the earth tilts towards the sun giving us our summer and away from the sun in December giving us the cold weather of winter. Unsurprisingly, the opposite is true for the Southern Hemisphere who have their winter in July and summer in December. No. 2 – A comet’s tail always trails out behind it showing where it’s come from. Comet Hale Bopp showing two distinctive tails. Wrong again but this is a very common misconception, hence it’s high ranking here at number 2 on the top ten. A comet is comprised on a solid ball of rock and ice and is a leftover piece of “stuff” from the earliest times in the formation of the solar system. Thought to originate in the Oort Cloud on the very edges of our solar system, they tend to have very large elliptical orbits around the sun. At the furthest distances from the sun the comets is just a fast moving icy rock. When the comet begins its approach towards the sun, solar radiation causes vaporisation in this nucleus resulting in the ejection of dust and gas forming a glowing cloud around the nucleus, called the “coma”. As the comet closes the distance to the sun the tail forms. 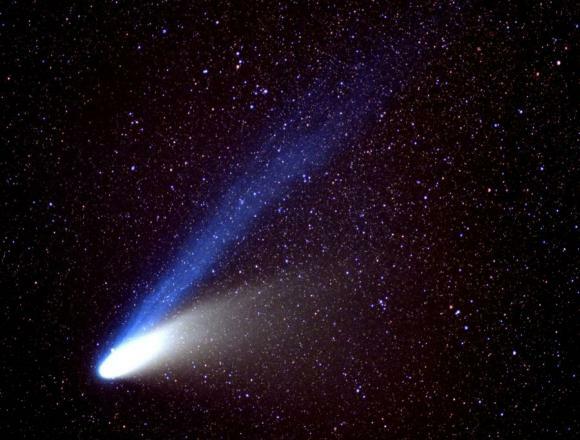 Comets usually have two tails and not one as many people think. Both tails are expelled from the comets nucleus by the solar wind. The first tail, the ion tail (type I tail), is a jet of ionised particles that always points directly away from the sun. The other tail, the dust tail (type II tail), isn’t as strongly affected by the solar wind and so curves back somewhat, toward the comet’s path. If we think now about the comet having already gone round the sun and starting its long journey back to the edges of the solar system, the tail (still stretching directly away from the sun) will be in front of it! – although constantly reducing as time passes and the comet gets further from the sun. No. 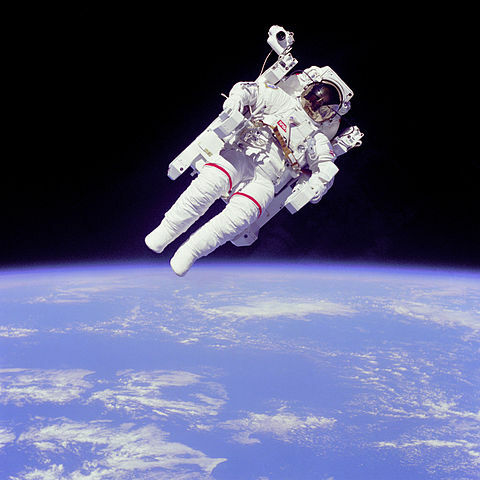 1 – There is zero gravity in space! Gravity exists between all objects with mass. Although gravity is the weakest of the fundamental forces (the others being electromagnetism and the strong and weak nuclear forces) the masses of objects involved, at least on a cosmic scale, are gigantic and consequently the effects of gravity are far reaching – holding the planets in orbit around the sun, the satellites in orbit around the earth and it can recall comets from the farthest reaches of the solar system. With this in mind and looking again at the astronaut in the picture – ask yourself …… is he really in zero gravity ?? The obvious question now becomes why does he look and behave “like” he’s in zero gravity ?? Well, we’re back to mass again and the confusion between the terms zero gravity and weightlessness. The astronaut is, of course still, affected by the force of gravity. Its just that he has no point of reference, no counter force (like the ground beneath his feet), to give him the impression of weight – hence he feels weightless. Weightlessness is a bit or a misnomer and should be more correctly termed microgravity. The astronaut is not actually weightless, because the Earth’s gravity is holding him and his spacecraft in orbit. He is actually in a state of free-fall, much like jumping from an airplane except that he is moving so fast horizontally (about 5 miles per second or 8 kilometers per second) that, as he falls, he never touches the ground because the Earth curves away from him. And there we have it, ten of the best space based misconceptions.